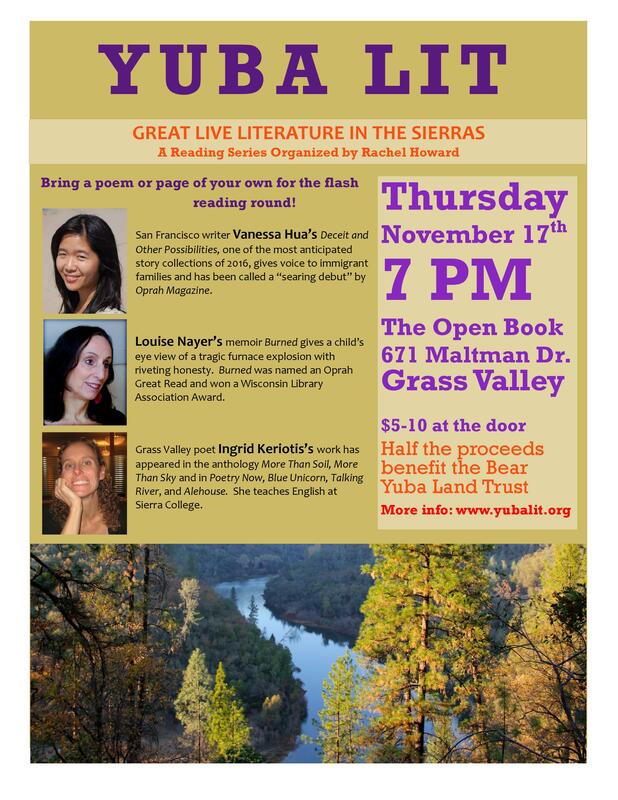 Just updated the Yuba Lit website with our November 17th lineup. Vanessa Hua will be visiting from San Francisco to read from what Oprah Magazine has declared a “searing debut,” her short story collection Deceit and Other Possibilities. Joining her are memoirist Louise Nayer and poet Ingrid Keriotis. It’s going to be another exciting night of powerful live literature in the Sierras. Visit the Yuba Lit site for full info.